Aim For The Stars & Dream Bigger Than The Universe. Ever Felt Like Your Life Is Destined For Greatness? GinaJay Born In OC (Orange County) Grew Up Learning Alongside Her Teenage Mom. Mother Married Her Step-Dad When She Was Three. A Few Years Later Her Father Took A Job In The I.E A Small City Better Know As The (Inland Empire) Located in Sunny Southern California. This Active Entrepreneur Has Always Had Dreams Bigger Then Her Industrial City Could Offer. The One Thing Her Slow Pace City Does Provide GinaJay … Is A Sense Of Peace & Comfort, A Peace She Can’t Seem To Break Away From. Just A Hour Stretch Up The 10 Highway Lies A Very Active County… Los Angeles, Ca. A City Known For Many Hollywood Celebrities, Party Goers, Hustlers, Hardworkers & Entrepreneurs. Los Angeles is Rittled With Hidden Talent & Much Hollywood Dreaming. If You Ever Wondered How GinaJay Established Her Career In The Music Industry? Keep Reading. Early 2014 After Undergoing A Few Surgeries From A Job Related Injury, She Re-Discovered Journaling. Something She Was Passionate About In Her Youthful Years. 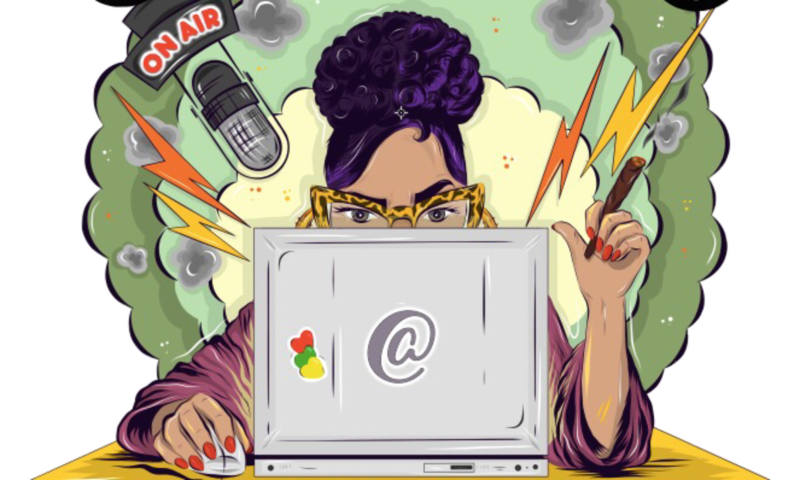 Finding A Niche On Social Media She Leaped Into The Game As A Blogger. GinaJay Shared Many Of Her Written Opinions Via Twitter. Baring Her Face And Name, She Caught The Eyes Of Many Like Minded Celebrities. GinaJay Was Offered Mutilple Opportunities For A Blogging Home. However, Her Heart Happen To Settle With A Site Hosted By Two Syndicated Radio Personalities Called “The Durtty Boyz” Out Of ATL. The Site Featured New Music, HitTopics, Interviews, Movements and More. Check Them Out “TheDurttyBoyz” Still Airing On Hot Alanta’s 107.9. After Developing & Securing Her Niche, GinaJay Created Her Very Own Site A Year Later. Launching The Start Of Her New Career! GinaJay Moved Her Network From The I.E.. Out of State To GA & Her Own Backyard…LA! She Is On A Mission To Express Herself in Entertainment, Media, & Medcinal Cannabis For The Cultures Sake. Wonder How She Got The Alias “GinaJay ??? “ Her Name Was Developed From The Beginning Of Her Social Media Beginning’s. The Name Pretty Common.. Yet Unique Too Many. GinaJay’s Closest Friends Encouraged Her To Believe In Herself & The Launch Of Her Own Company. GinaJay.Info, Was Est. In early 2014. As A True Activist For The Culture, She Genuinely Networked Amongst Many Encouraging The Growth of Other’s. GinaJay Was Recognized By An Indie Artist Signed Under DiamondLane Music Group. Interning As A P/A It Became Her Side Grind, But She Quickly Advanced Do To Her Hungry Hustle. GinaJay Became The Clients Manager & Public Relations For The Growth Of His Career. In 2016, Ginajay Parted Ways, All While Being Discovered By Another Entertainment Platform Called IamHipHoptv. GinaJay Came In As Their Standing General Manager. In 2017 She Advanced to CEO. Mid-Year She Was Recruited by Slink Johnson aka Black Jesus The President Of The “SmokeYours Crew.” A Few Months Following She Teamed Up With Some Dope Ladies From The “Smoking Sisters Society” A Group of Ladies Educating Like Minded People On The Art Of Staying Connected in the Cannabis Community. GinaJay Realized She Was Slowly But Surely Becoming A Cannabis Activist. Medicinal Cannabis Is Necessary For Her Everyday Living, She Medicates For Many Reasons, But The Main Would Be Her Anxiety Illness. In Early 2018 GinaJay Became A Host Alongside The Talented Ms. Loomis. Subscribe To This Fun Cannabis Cultural YouTube Show Called, “The Roll Up Show” Now! A Show Based Around The Cannabis Community, New Products, Taste Testings And HOT Entertainment Live!! 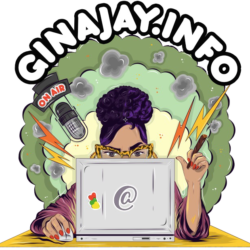 Get Involved If You’d Like to Keep Up With GinaJay On Her Continued Growth Make Sure You [Subscribe Now.] Follow Closely As She Networks Through A Pool of Great Talent, Fashion, Greens, & Good Vibes! !